Well this was a busy month! On the 11th March 2014 Jupiter was at its highest in the night sky and will be clearer and at its largest in the sky than it will until 2025 due to its 11 year orbit of the sun. 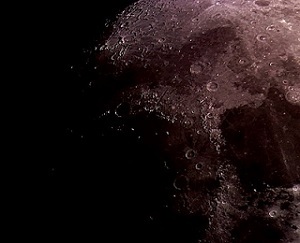 So I decided to have a mini star party with some friends coming over to have a look at the gas giant and our Moon. I also managed to capture a couple of images with my webcam I also got an 18 second capture of the moon before my laptop power died. Still disappointed with my webcam I decided to splash out and spend £8 on an Xbox WebCam on eBay. 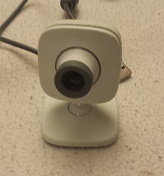 One of the great things about the Xbox WebCam is that it has a 12mm thread for the lens which can be removed and replaced with a 1.25 inch ‘nose piece’ which will fit directly in to the focuser of any standard telescope. 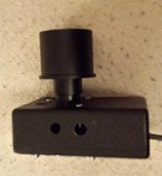 I also found out that cooling is a good thing to do with an Xbox WebCam as they have quite a noisy imaging CMOS chip as they heat up, so the cooler the better. So I ordered a few supplies to build my mod. 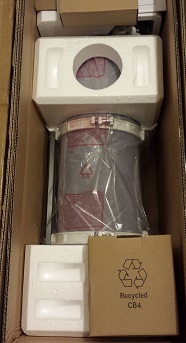 My new scope arrived in two massive boxes and that night I assembled it. Oh My God its huge, I must admit I didn’t think it was going to be quite so big! But it is amazing none the less. Alas it was a few nights before I could use it for the first time. 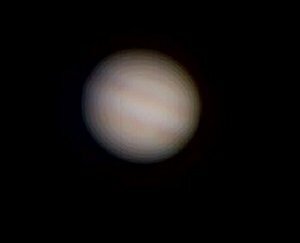 It was a moon less night and Jupiter appeared in my view finder it was so clear and bright definitely worth the extra money. I was still waiting for the GOTO upgrade to arrive (as I added it to the order once I’d sold my 130M) so tracking was done by hand and polar alignment was a little sketchy to say the least but hay this was a new scope and I had to learn how to use it. Still I'd only used my new telescope once, now this was heart breaking as any small boy will tell you when he can't play with is favourite toy - and after all we are all small boys inside! 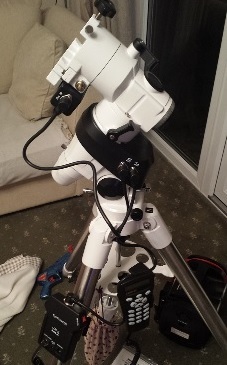 However I used this time wisely, I had mods to make and things to tweak, and i had read about double stacking Barlows to give greater magnification so i payed a little more money and ordered a SkyWatcher 2" ED x2 Barlow so i can use it for DSLR imageing. 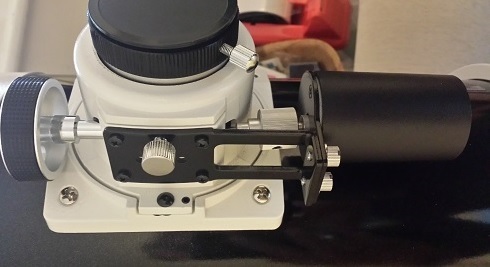 The first task at hand was to fit my SkyWatcher Auto/Motor Focuser to my new scope. This was easy enough with the bracket supplied. There was a minor issue with the Focuser control unit its self as the battery would only last once session! 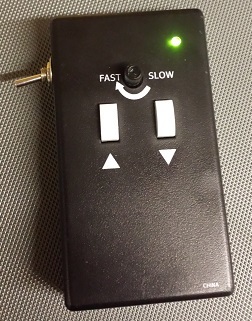 After a little playing I realised that the control unit was drawing power from the battery even when none of the buttons were being pressed and there was no on/off switch. So I thought I'd add one and an on LED for good measure. My next tweak was to try out connecting the GOTO mount to my laptop. It was so easy I downloaded Stellarium which is free planetarium software that shows exactly what you see when you look up at the stars and i needed to install the latest ASCOM platform and hay presto it just worked. it even shows you on the laptop where your scope is pointed its truly amazing and i can't actually believe it's FREE! Being the geek that I am – like I said in the intro I’ve always been interested in Physics – I found a series of lectures on YouTube from Harvard university on Astro Physics. They are actually quite interesting and you’d be surprised at what you already know about the universe but it also explains why things are the way they are in the night sky and how things are measured. Very interesting – for a geek!